Thursday to pump up production and keep pace with growing demand for the Kentucky whiskey, known by its distinctive bottles sealed in red wax. The $67 million expansion comes barely a year after the brand created a backlash by saying it was cutting the amount of alcohol in each bottle to stretch its whiskey supplies. Producers quickly scrapped the idea. The expansion — in the works well before the watered-down whiskey flap — comes amid strong sales across the whiskey sector. Bourbon and Tennessee whiskey revenues rose a projected 10.2 percent last year in the U.S., and exports surpassed $1 billion for the first time, according to the Distilled Spirits Council . 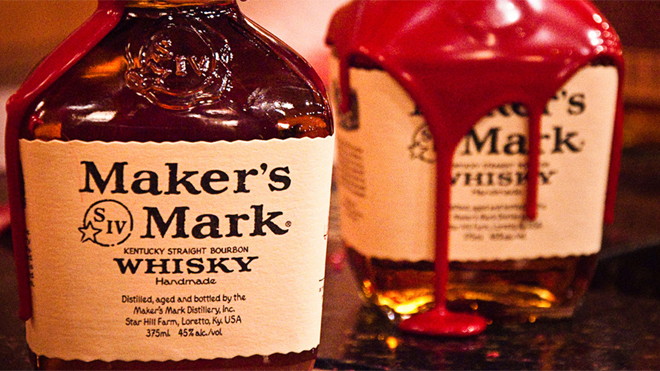 Maker’s shipped 1.4 million cases in 2013, up 10.7 percent from the prior year. It forecasts shipments to reach 2 million cases later this decade, after surpassing 1 million cases in 2011. Bourbon makers in Kentucky, which produces 95 percent of the world’s supply, have invested more than $300 million in expansions in the last two years, said Eric Gregory , president of the Kentucky Distillers’ Association. In a bow to tradition, the Maker’s addition will replicate the existing distillery in Loretto, a town about 45 miles south of Louisville where every drop of Maker’s has been produced. That continuity ensures “the DNA of Maker’s Mark is preserved as the brand grows,” said Maker’s Mark chief operating officer Rob Samuels , grandson of the brand’s founders. “This investment is a continuation of the heritage, tradition and vision for this brand as Maker’s Mark continues to grow,” he said. It’s the second major expansion of the Maker’s distillery. The newest update will add a replica of two existing stills, more fermenters and additional warehouses to store the whiskey. The addition will boost the distillery’s production capacity by 50 percent. Groundbreaking is planned for next month. The first whiskey coming off the new still will go into barrels for aging in mid-2015 and will mature, on average, between six and seven years before being bottled. The state said the brand’s producers will be eligible for up to $5 million in tax benefits as part of the project. “We are very excited that this iconic Kentucky brand continues to grow in popularity,” Gov. Steve Beshear said. The expansion comes as the ownership of Maker’s is changing hands. Suntory Holdings Ltd., a Japanese beverage company, announced a deal in January to acquire Beam Inc., parent of Jim Beam and Maker ‘s Mark. The combined company would have annual sales topping $4.3 billion. The Beam Inc. board approved the project Wednesday.